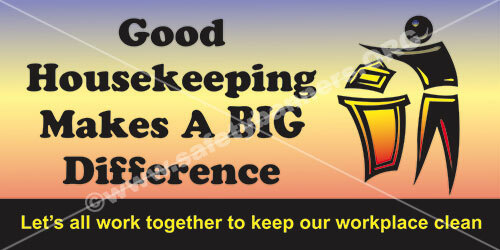 Safety Banners for a Clean Workplace and Good Housekeeping. 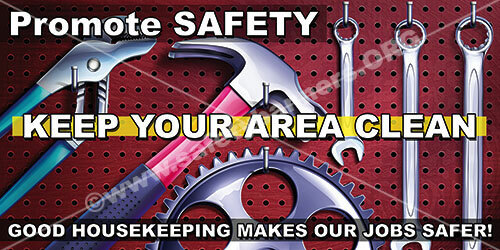 Our Safety Banners for a Clean Workplace and Good housekeeping are used by most of the Fortune 500 companies! 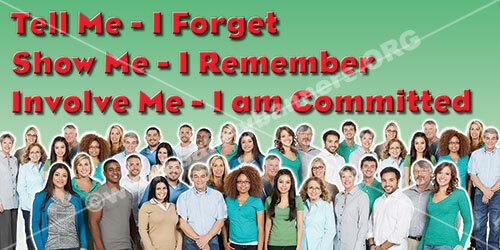 A clean workplace and good housekeeping contribute to higher productivity and better safety!Safety Banners can help! Why should we pay attention to housekeeping at work? Effective housekeeping can eliminate some workplace hazards and help get a job done safely and properly. Poor housekeeping can frequently contribute to accidents by hiding hazards that cause injuries. If the sight of paper, debris, clutter and spills is accepted as normal, then other more serious health and safety hazards may be taken for granted. Housekeeping is not just cleanliness. It includes keeping work areas neat and orderly; maintaining halls and floors free of slip and trip hazards; and removing of waste materials (e.g., paper, cardboard) and other fire hazards from work areas. It also requires paying attention to important details such as the layout of the whole workplace, aisle marking, the adequacy of storage facilities, and maintenance. Good housekeeping is also a basic part of accident and fire prevention. Effective housekeeping is an ongoing operation: it is not a hit-and-miss cleanup done occasionally. 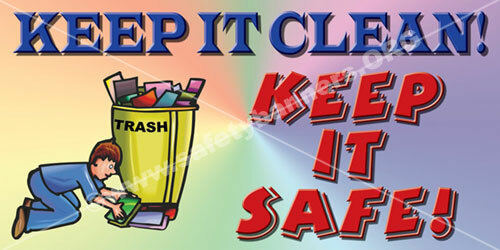 Periodic "panic" cleanups are costly and ineffective in reducing accidents. What is the purpose of workplace housekeeping? To avoid these hazards, a workplace must "maintain" order throughout a workday. Although this effort requires a great deal of management and planning, the benefits are many. What are some benefits of good housekeeping practices? How do I plan a good housekeeping program? A good housekeeping program plans and manages the orderly storage and movement of materials from point of entry to exit. It includes a material flow plan to ensure minimal handling. The plan also ensures that work areas are not used as storage areas by having workers move materials to and from work areas as needed. Part of the plan could include investing in extra bins and more frequent disposal. The costs of this investment could be offset by the elimination of repeated handling of the same material and more effective use of the workers' time. Often, ineffective or insufficient storage planning results in materials being handled and stored in hazardous ways. Knowing the plant layout and the movement of materials throughout the workplace can help plan work procedures. Worker training is an essential part of any good housekeeping program. Workers need to know how to work safely with the products they use. They also need to know how to protect other workers such as by posting signs (e.g., "Wet - Slippery Floor") and reporting any unusual conditions. Do not forget out-of-the-way places such as shelves, basements, sheds, and boiler rooms that would otherwise be overlooked. The orderly arrangement of operations, tools, equipment and supplies is an important part of a good housekeeping program. The final addition to any housekeeping program is inspection. It is the only way to check for deficiencies in the program so that changes can be made. The documents on workplace inspection checklists provide a general guide and examples of checklists for inspecting offices and manufacturing facilities.